Here is the bounty in books I received/purchased over the past week! 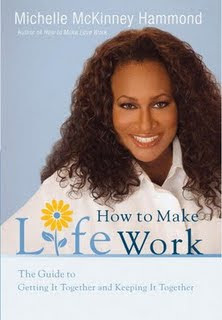 Bestselling diva Michelle McKinney Hammond dishes on her tips for making the most of every day in this sassy "owner's guide" to living the life you want. List of books I purchased at a used book sale during their bag sale...ALL for $5.00!!! "Powers of the air, be here now. So mote it be." Nell is a wild child. Conceived on May Morning, she is claimed by the piskies and faeries as a merrybegot, one of their own. She is the village cunning woman's granddaughter: herb gatherer and healer, spell-weaver and midwife...and, some say, a witch. Grace is a Puritan minister's daughter: beautiful and refined, innocent and sweet-natured...to those who think they know her. But she is hiding a secret -- a secret that will bring everlasting shame to her family should it ever come to light. 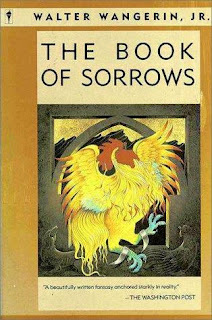 The Book of Sorrows by Walter Wangerin Jr. This moving allegory of the Christian life is one of the best Christian fantasies to be found anywhere. 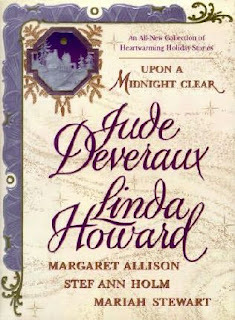 It is a sequel to the award-winning "The Book of the Dun Cow". 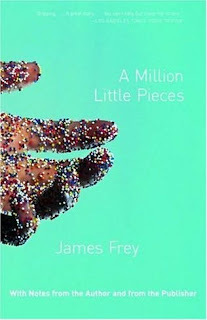 Intense, unpredictable, and instantly engaging, A Million Little Pieces is a story of drug and alcohol abuse and rehabilitation as it has never been told before. Recounted in visceral, kinetic prose, and crafted with a forthrightness that rejects piety, cynicism, and self-pity, it brings us face-to-face with a provocative new understanding of the nature of addiction and the meaning of recovery. 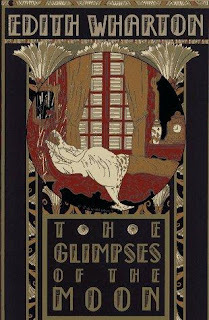 The extraordinary Resistance movement of the Italian people in the Second World War is brought to life in a captivating, deeply moving story of a mother's search for her son, by the author of the widely acclaimed A Private Hotel for Gentle Ladies. The year is 1943. Nazis have invaded Italy; American troops have landed. At Aldo's restaurant on the Adriatic coast, Lucia Fantini, wife of the late Aldo, entertained customers for years with her marvelous opera singing, but normal operations have ceased; the restaurant has been seized by nazifascisti, and a resistance squad of waiters and tradesmen has been formed, led by Lucia's son Beppino. When he disappears after acting on his own to destroy a German truck, Lucia asks, 'What kind of a partisan are you, blowing something up without telling your mother?' and sets off to look for him. 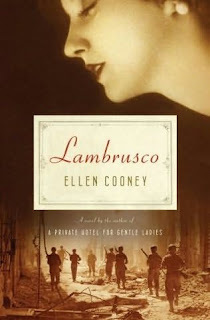 Lucia is aided in her efforts by a richly drawn cast of characters, including Annmarie Malone, the American Army Intelligence officer who's a professional golfer back home; Tito Roncuzzi, the butcher who taught neighborhood dogs to pee on Fascists' boots, Etto Renzetti, the factory owner who scoffs at Dante, and Ugo Fantini, Aldo's physician cousin, who has reasons of his own for wanting to be near Lucia. So what did you get that was divine this past week? Wow, you've made quite the haul this week. What a great variety; there should be something for every mood! Talk about a lot of books. 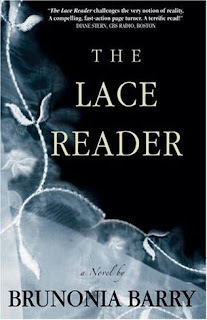 I'm jealous of The Lace Reader and am intrigued by The Harrowing. Lisa-Yes, quite a haul! I'm in heaven! 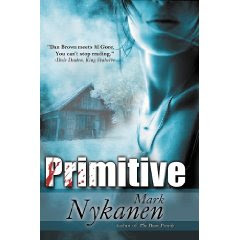 Ryan-The Harrowing and The Minister's Daughter sound very intriguing indeed! Bonfire of the Vanities is on the list for the 1001 books to read before you die challenge so I was thrilled with that one! So jealous that you won The Raucous Royals - I've been wanting that one! Isnt' the cover hysterical?! Congrats! 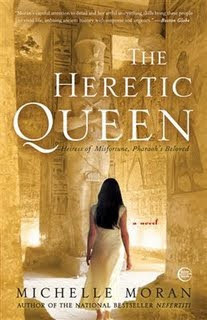 The Heretic Queen is awesome! Happy Reading!